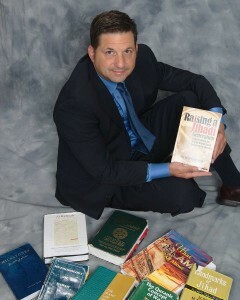 Retired from the Marine Corps and the FBI after nearly two decades of service, John Guandolo writes for and manages UnderstandingTheThreat.com, a website he founded to provide information about counterterrorism to the American public to safeguard them. With the same goal, John Guandolo also leads the Strategic Engagement Group, a national security firm in Virginia. Interpretation of terminology varies by culture. To effectively plan counterterrorism strategies, it is important to have a good understanding of those differences. For example, the words “peace” and “truce” are both used in Western civilization as well as Islamic law, also known as Shariah. In Western culture, “peace” refers to the end of war. It represents freedom. The term “truce” is defined as a mutual agreement to cease fighting. Under Shariah, peace can only be achieved when dar al harb no longer exists. Dar al harb is the house of war and consists of all individuals who do not abide by Islamic law. Those who live by Shariah, such as Hamas and other Jihadist groups, must uphold the Shariah code of taking action to obliterate the house before they can achieve peace, or dar al Islam. Shariah states that a truce is permissible when its Jihadi devotees require a moment to regroup. A truce does not result in cessation of fighting permanently. Instead, it offers time for planning, strategizing, and rearming to continue warfare with the intention of eliminating dar al harb. John Guandolo Blog at WordPress.com.